They have single-handedly put India in the International EDM map. Jalebee Cartel was one of the first revolutionaries from the Indian circuit to have transformed the entire EDM scene and has since their inception making waves with the release of numerous EDM tracks and has been gigging around the globe whilst being backed by some independent record companies from around the world. 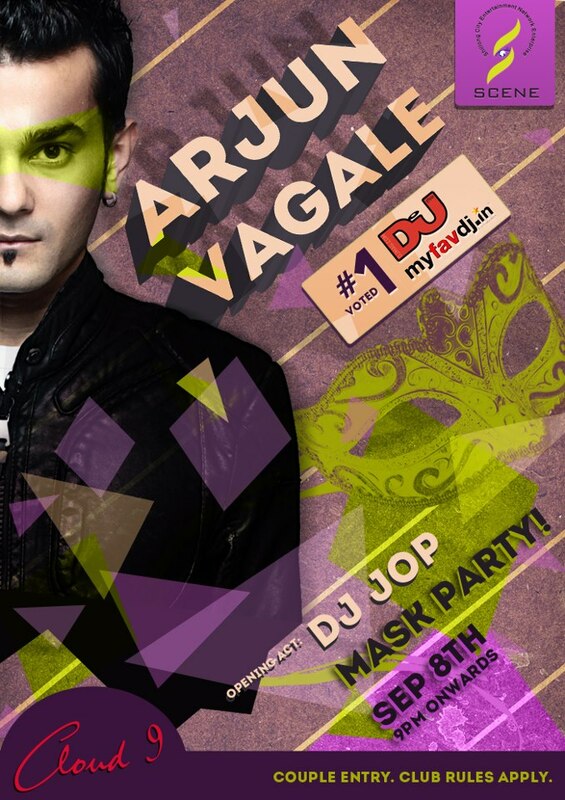 SCENE, a nightlife event organizing company from Shillong will host a “Mask Party” this Saturday the 8th of September 2012 at Cloud9 featuring one half of Jalebee Carte, Arjun Vagale. He is the man behind the laptop, mixing and electronics of this highly accredited international EDM outfit and whether with the band or just by himself , he’s one EDM visionary whose titanium beats and dexterity in terms of production have been considered surreal. As cliché as it may sound, we here at Chameleon Press are really looking forward to this one. Check event details below.